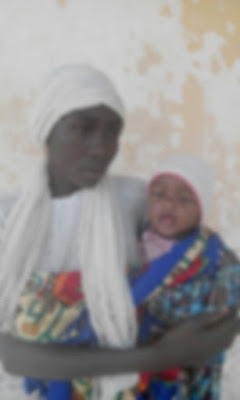 Troops of Operation LAFIYA DOLE during investigation of arrested suspected Boko Haram terrorists discovered one of the abducted Chibok School girls, Rakiya Abubkar, with her six months old baby. According to preliminary investigation, it was discovered she is the daughter of Abubakar Gali Mulima and Habiba Abubakar of Chibok. She further stated that she was a student of Senior Secondary School Class 3B (SS 3B), before her abduction along with her colleagues on 14th April 2014 by the Boko Haram terrorists. Rakiya Abubakar is presently undergoing further medical investigation and would soon be released to the Borno State Government.